Passionate about freeing the white space airwaves? Excited about about privacy and data protection? Interested in the debates surrounding net neutrality? If you’re a undergraduate, graduate, or law student interested in in the world of tech policy, have we got a program for you. After a successful first summer, we are excited to announce the launch of the 2009 Google Policy Fellowship program. The Google Policy Fellowship program is our effort to replicate the success of our Summer of Code program in the public policy sphere and to support students and organizations doing work that is important to the future of Internet users everywhere. Our first class of fellows worked for ten weeks last summer at public interest organizations involved in debates on broadband and access policy, content regulation, copyright reform, consumer privacy, and open government. Those selected as fellows for the 2009 summer will receive a stipend to spend ten weeks contributing to the public debate on technology policy issues — ranging from broadband policy to copyright reform to open government. Our participating organizations include: American Library Association, Cato Institute, Center for Democracy and Technology, Competitive Enterprise Institute, Electronic Frontier Foundation, Internet Education Foundation, Media Access Project, New America Foundation, Public Knowledge. We are happy to welcome six additional organizations to participate in the 2009 summer: Canadian Internet Policy and Public Interest Clinic, The Citizen Lab, Creative Commons, Future of Music Coalition, Progress and Freedom Foundation, and Technology Policy Institute. Check out more details and the application, which is due by Friday, December 12, 2008. And please help us spread the word! Who wants to play PacMan? Fourteen centuries after the revelation of the holy Qur’an to the Prophet Muhammad, Islam today is the world’s second largest and fastest growing religion. Muslim gay filmmaker Parvez Sharma travels the many worlds of this dynamic faith, discovering the stories of its most unlikely storytellers: lesbian and gay Muslims. 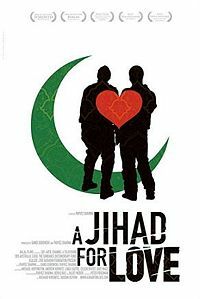 A Jihad for Love was filmed over 5 years in 12 countries and 9 languages and comes from the heart of Islam. Looking beyond a hostile and war-torn present, it reclaims the Islamic concept of a greater Jihad, whose true meaning is akin to ‘an inner struggle’ or ‘to strive in the path of God.’ In doing so the film and its remarkable subjects move beyond the narrow concept of ‘Jihad’ as holy war. Parvez Sharma will speak and answer audience questions. This Thursday (10/16) at 7 PM! 1. Troy Bike Rescue and Albany Bike Rescue location and hours are posted on our Google calendar. 2. Queen Beez is tonight at 9pm, Oh Bar. We have a $50 tab grand-prize. Words Without Borders is an “online magazine for international literature,” started by an editor at Norton. Click here for their “About Us” page. In their recent newsletter, I noted two opportunities for engagement. WWB is looking for a volunteer book editor to assign and edit two to three book reviews per month. Send CVs, clips, and three suggestions for current review possibilities to wwbinfo (at) gmail (dot) com. WWB is seeking volunteer regional editors to keep us abreast of current literary trends and new writers around the world. We’re looking for academics, students, cultural journalists, and other specialists, here and abroad, to advise us on expanding our coverage. Requirements include on-the-ground experience, a sound overview of the work coming out of the region, and a passion for local literature. Send CVs, a list of your areas of expertise and favorite authors, and three suggestions for writers to pursue to wwbinfo (at) gmail (dot) com. On Monday, Oct. 13, the law school’s student Democrat and Republican organizations will host a 21st Congressional District Candidates Forum at 6 p.m. in the Dean Alexander Moot Court Room. The district’s two actively campaigning candidates, Jim Buhrmaster and Paul Tonko, will each make a five-minute opening statement before engaging in an hour-long moderated discussion. The candidates will field questions from the audience after the discussion, and light refreshments will follow the event. The event will be moderated by Al Roney of 810 WGY. The event is free and open to the public. Albany Law School does not endorse or oppose any candidate or political party. Both events are intended to be neutral events where political fundraising is prohibited. For more information, visit www.albanylaw.edu/events.